Week 10: Free Lifestraw Water Filters! Week 10 of Safecastle's ongoing "Repel the Chaos" series of member freebie giveaways has the revolutionary Lifestraw water filters sailing out the door. Supplies are limited, so this offer is good for three days only (or while supplies last): Oct. 29-31. 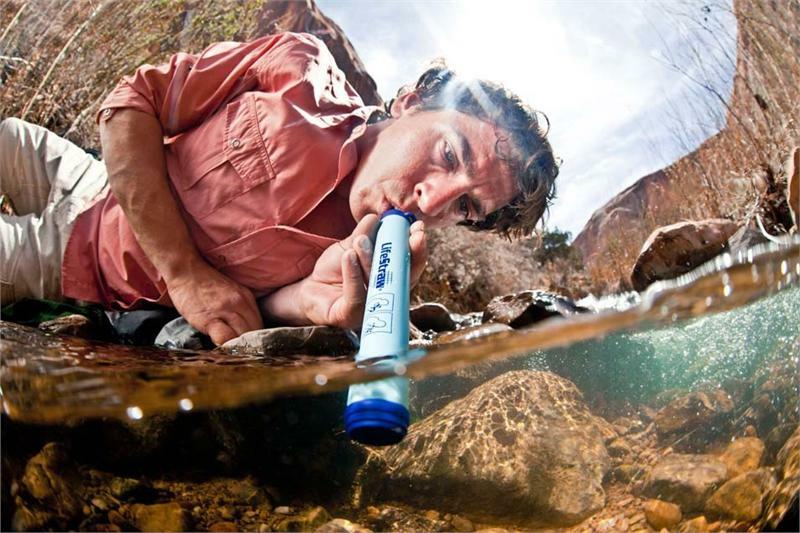 Any buyers club member purchase of at least $150 automatically gets a free Lifestraw ($25 value). Or, any member purchase of $300 or more gets two free Lifestraws! See our Repel the Chaos program details and limitations here. More good news ... at Safecastle you can now get 6 months to pay on purchases of $99+ when you check out with Paypal and choose "Bill Me Later." Details in our store. Week 9: Free NukAlerts and Katadyn Varios! Free top-quality preps are the kind of score anyone can appreciate. True to form, Safecastle is coming through once again during this ninth week of the killer "Repel the Chaos" series of offers to our customers. 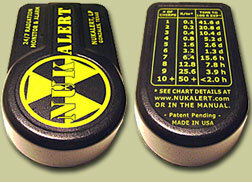 - or at least $999 will receive the NukAlert PLUS a Katadyn Vario, value $99! One weekly Repel the Chaos offer per member please. The free items are automatically added in our fulfillment process--they will not appear in your cart. Repel the Chaos, Weeks 7 & 8: FREE Case of Black Beans w/ 3 Cases of White Rice! 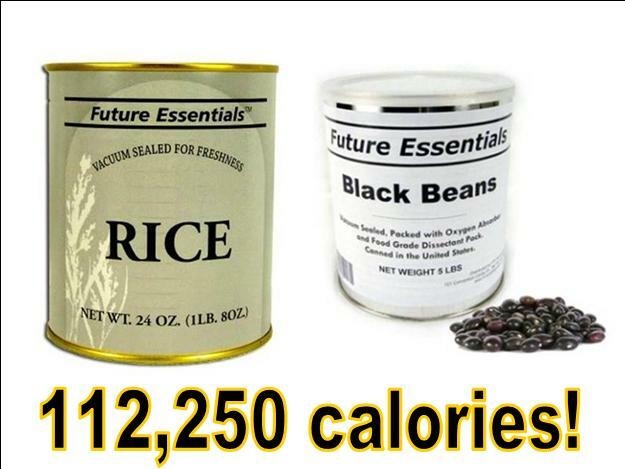 Need economical, quality calories to bulk up your food storage? Try this on for size: 112,250 calories in these four cases of food. 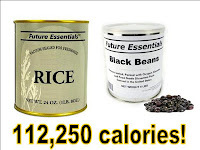 Buy 3 cases of long grain white rice and score a FREE case of black beans. That's 56 days of sustenance at 2000 calories a day! Member Rewards Certificates of $20 per every 3 MH Can Cases plus Incentives including Firebox Folding Stove, Case of Ghee, Case of Canned Butter! The 25%-off discounts on ALL MH cans continues thru 10/7. The new Week 6 Repel the Chaos incentives offer is in effect thru Sunday, 10/7. Take advantage now of these max. MH discounts, that also qualify you for member Royalty Rewards gift certificates of $20 for every 3 MH can cases purchased. The additional Repel the Chaos incentives are detailed below (the Repel the Chaos prizes are achieved with member purchases of ANY Safecastle merchandise--not just MH food--they are automatically added to your shipments with a qualified order). WORTH NOTING AGAIN: The purchase levels below are for any member purchase in our store--not just Mountain House food. 1. Club members who make a purchase totaling least $750 earn a Firebox Folding Stove with 2 ReadyFuel Packets. 2. Make a purchase of at least $1450 and receive a the Firebox AND a free case of Ghee. 3. A purchase of $2100 or more gets you the Firebox, Ghee AND a case of Red Feather Butter! -- Best of all, thru Sunday, October 7, we are discounting all Mountain House can cases at 25% and MH Strawberries at 33%! 25%-Off MH Cans Discount Ends 10/7; Week 6 'Repel the Chaos' Incentives Package in Effect! Rewards Certificates of $20 per every 3 MH Can Cases plus Incentives including Firebox Folding Stove, Case of Ghee, Case of Canned Butter! NOTE: The current 25%-off all Mountain House #10 can varieties ends Sunday night, 10/7. It is our last allotted MH full sale period of the year. 1. Members who make a purchase totaling least $750 earn a Firebox Folding Stove with 2 ReadyFuel Packets. Oh--and we did have a winner for the September Repel the Chaos prize drawing. Congrats to Barbara D.--the lucky winner of a new 9-Tray Excalibur Dehydrator! And congratulations too to our September Facebook drawing winner of a free MH Essentials Food Bucket--Allyn M.!